Welcome to our comprehensive guide to French Wines. Here you will find everything you need to know about French Wine, tips for starting your very own wine cellar, wine tasting and details of the different types of French wine. If you can't find what you are looking for in the index please scroll down the page where you can view all our articles about French wines. Everything you always wanted to know about wine in France. Descriptions of the various types of French wine. Perfect excuse for a wine-tasting party. Wine is a complex beverage, or at least it should be, and to understand a wine’s complexity and depth you need to analyze it. 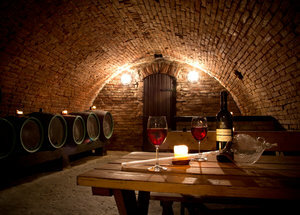 Do you love wine and dream of having a wine cellar of your own instead of just buying a bottle when needed? This simple guide to starting a wine cellar will show you how to go about it. There are two main methods of making sparkling wine, the Méthode Champenoise and the Méthode Charmat. What is the difference? Whilst in Marseillan I experienced a wonderful new event being presented by Noilly Prat, the vermouth manufacturers famously situated here by the port. Drive around the villages of the Languedoc Roussillon and you’re bound to see the very strange word ”Byrrh” painted onto the sides of buildings in fading lettering. FrenchEntrée explores the origins of the historic Byrrh apertif, one of the most iconic products of the Languedoc Roussillon. Meet Stephen and Jeany, a couple who traded their former lives for a fresh start in Provence, where their wine is making waves. Good news: late September sun has resulted in a “rare” year. All types, red, white, rosé and dessert wines have benefited from the extended kiss of sunshine.